Tagged under Hisashi Hirai, Xebec, Series. The presentation of this show is definitely the best part about Fafner. The way they reveal each characterâ€™s feelings and developments surpass many anime. You can practically see each characters growing in every episode. The despair after a loss of a fallen comrade is superbly shown, making audience wants to scream and cry along with them. The feelings of trust, anger, joy, comfort and pain are very natural where we would feel the same way if we were in their shoes. Since this is war, Fafner of course did not exclude the facts that there would be betrayal and sacrifices which quite a few anime forget about. This is the cons and pros of Fafner. I have known of a few who stopped watching it since there is too many people dying in this story and they got tired of it. The first season was really great with the amazing story and character development, the battle scenes were well choreographed as well. Even after watching Exodus, I still think S1 was the better series as the story, character development, and action complimented one another and was overall better constructed. Exodus was good, but not as great as the first series and the OVA that centered on Ryou and Yumi was. I wasn't too thrilled with the songs for Exodus either and wished that there were more of a variety of artists to do the songs. I was glad that Kenji and Sakura advanced their relationship and Kouyou returning in the second half of Exodus. The character design is reminiscent of Gundam Seed. I found it per coincidence but really liked the show. I love the music provided by angela especially Shangri-La, the opening song. Action, mecha, aliens and refreshingly for me ;) an end where the aliens are not completely defeated - you can also say an open end. I also like the idea where the mecha-users get killed through the permanent use of their machines. 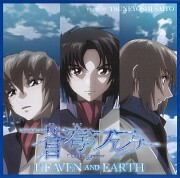 The prequel movie is "Soukyuu no Fafner Right OFF Left" and the sequel movie is "Soukyuu no Fafner Heaven and Earth". 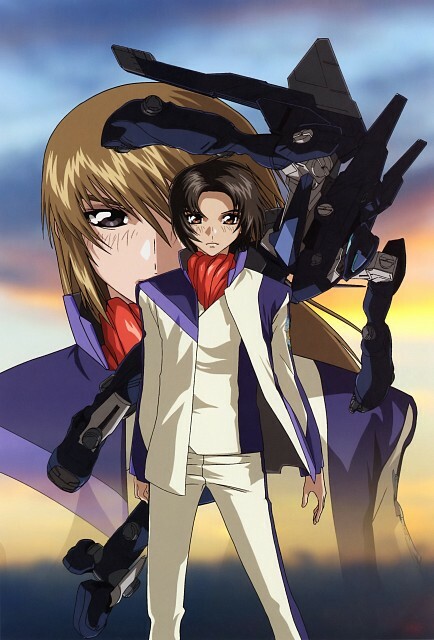 I was actually drawn to this anime because of the artwork which is the same as Gundam SEED (my personal fav anime). The story and plot is very deep with characters just as intense to match. Their growth is visible almost every episode and the complexity of their emotions and trials they go through is just as in depth. There is a lot of pain and sadness with this series that proves it is a series about war and the suffering it brings with it.